My father was born on September 14, 1928; he joined the film industry in July 1957 and passed away in March 1972. He spent only 14 and half years in the industry—a very short time—however during this brief period he had the opportunity to do some excellent roles and had the good fortune to work with some of the best directors of the industry. 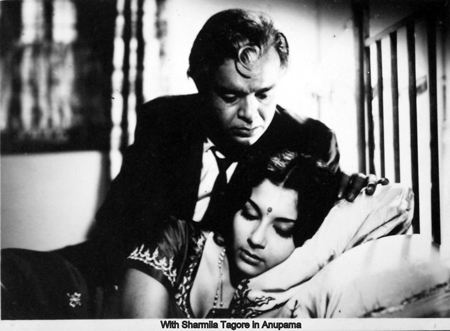 While reading Shilpi’s first post about her father Tarun Bose I realized that I had never yet seen Kohraa, a remake of Daphne Du Maurier’s “Rebecca.” One of the benefits of my poor memory is that although I’ve read the book and seen the Hollywood film version, I couldn’t really remember how it all ended. This helped keep me attentive, although honestly this version too is so well done that I would have been anyway. From the opening scene until the screen went black at the end, I was positively riveted. 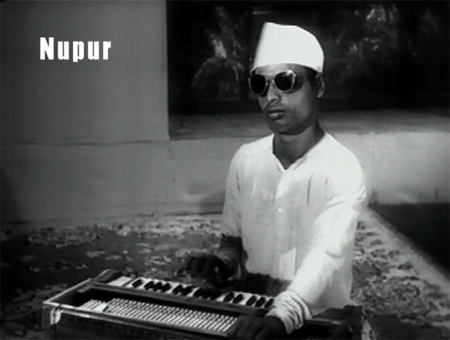 It’s a faithful (if uncredited) adaptation of a story well-suited for an Indian setting. The wealthy Maxim de Winter is easily transformed into Raja Amit Singh (Biswajeet even sports Laurence Olivier’s pencil-thin mouche) and his mansion Manderley into a sprawling seaside haveli full of wind-swept rooms. 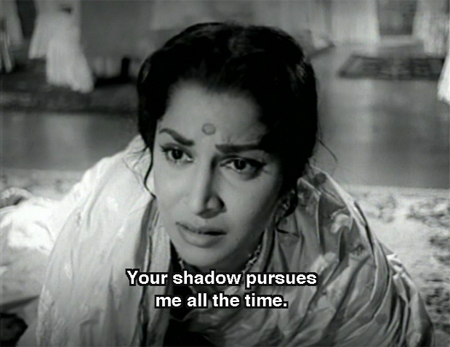 Waheeda Rehman is absolutely perfect as the timid orphaned bride who finds herself up against a formidable enemy in housekeeper Dai Maa (Lalita Pawar at her awesome best!). This is one of the most bizarre films I’ve ever seen. Some parts of it left me with rounded eyes and a “WTF” bubble over my head, and some of it just made me angry; all of it left me feeling like I had just sat through ten years’ worth of Ekta Mata serial plotting in just two hours. 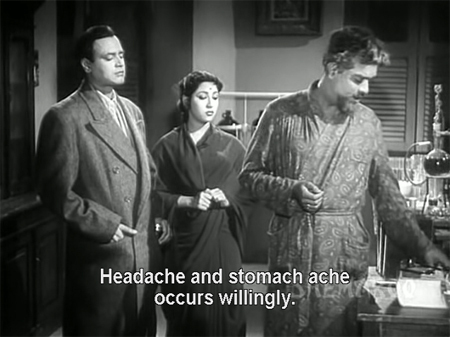 My impression is that Sohrab Modi had some serious personal problems at the time he made this, and brought them all on set with him. His Jailor is a deranged man in need of medication and a padded cell, for his own sake and that of those around him. It’s dark, bewildering, and messy, and made me want to run screaming. Madan Mohan’s music is beautiful, in particular the haunting “Life is Like a Punishment” (as “Bas Ek Saza Hi To Hai Zindagi” is subtitled). And Geeta Bali eventually enters like a breath of fresh air (as she is meant to). Plus, a court ruling that is actually rational, and the Indian Stevie Wonder! 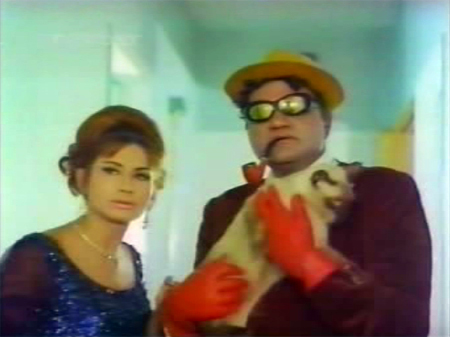 But still: bas ek saza hi to hai yeh fillum. 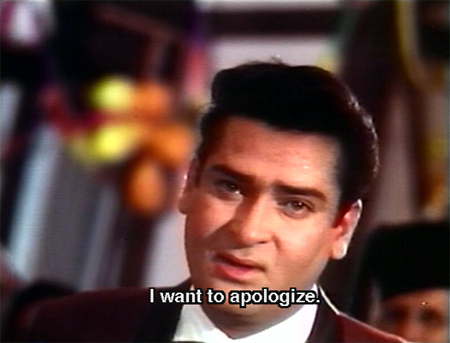 I hold a definite opinion about judging Hindi cinema against western cinema, which is that it is basically unfair. And by unfair I do not at all mean that Hindi cinema cannot hold its own, but that it is an apples to oranges comparison and therefore pointless. Even so, there are two genres where I find it difficult not to judge: film noir and horror. Many of you know that I hate horror films, because they scare me (!) so Hindi movie “failure” on that front doesn’t bother me at all (in fact, I prefer it). 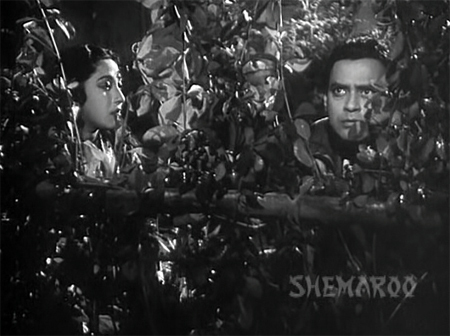 However, I am a big fan of old 40s and 50s detective films and I generally feel a bit let down by Bombay’s counterparts. There is compensation in other areas (songs and general gorgeousness, e.g.) but I am hardly ever mystified; and even when I am, the plot holes and ham-fisted red herrings annoy me. I won’t even talk about dramatic expositions which come out of nowhere.